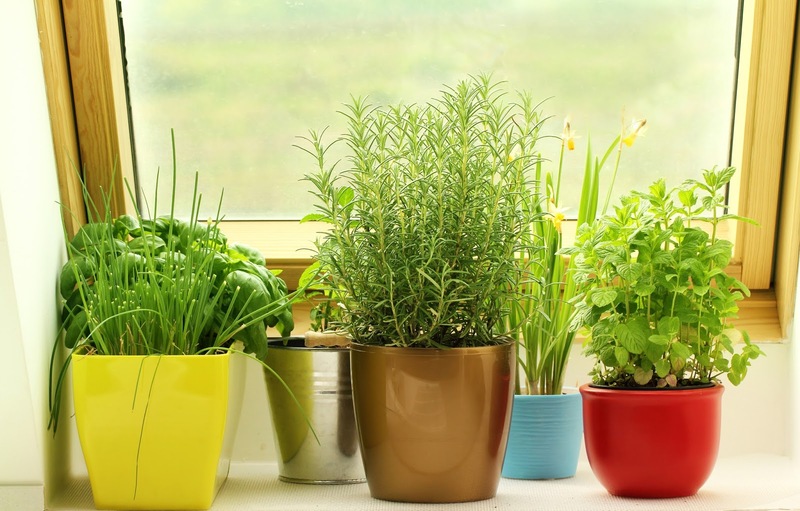 Here are five easy ways to brighten up your home and welcome in spring. 1. Fill vases with daffodils and tulips. 2. Freshen up your rooms. Change bedding, pillows, towels, and table linens for ones with lighter fabrics and colors. 3. Reorganize bookshelves. Sort books by size and subject, removing any ripped dust jackets. Arrange books vertically and horizontally, and then place knickknacks on some of the shelves to add visual interest. 4. Organize your closet. Get rid of clothes and accessories that you don’t wear, then categorize the rest by tops, pants, jeans, skirts, and dresses, then arrange by color. Your closet will look neat, and you’ll find things a lot easier. 5. 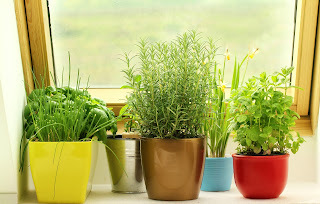 Start an herb garden on your kitchen windowsill. 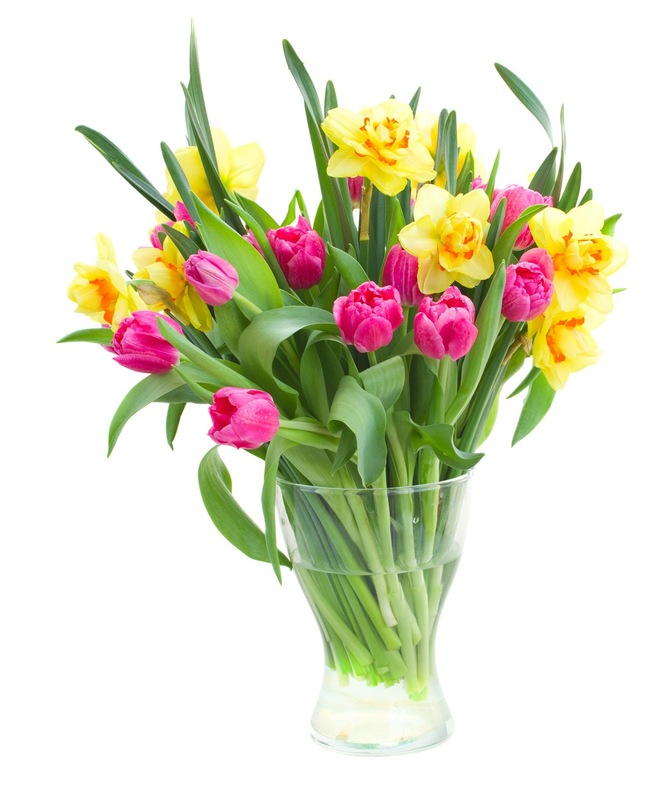 What are some of the ways you brighten up your home for spring? Great ideas, Raine. Now I just need the energy. The snow outside my window is keeping me from thinking spring! Spring cleaning makes me feel like leaving the winter behind and getting ready for Spring colors that will be coming in! All of your tips are excellent. I love fresh flowers on my kitchen and dining room tables.